Micaela Schaefer: strip ‘tease’ distracts from pretty hair at MIB3 premiere! Beautiful hair and makeup aren’t enough to get her “all” of the attention she craves. So Micaela goes nearly naked to the German premiere of Men in Black 3, hogging the spotlight on the Red Carpet! 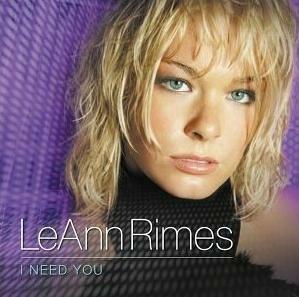 LeAnn Rimes’ hairstyle: better than before, but not what it used to be! 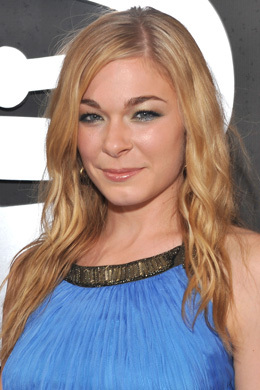 Judging from the 2012 ACM Awards show, LeAnn Rimes looks better than she has in quite some time. Perhaps that’s because she’s happy to be divorced from her first husband and now married to Eddie Cibrian. The happy couple were both cheating on spouses when their love affair blossomed. We really don’t care about her twisted love life, but we’re glad her hair is improving. Her tousled topknot perfectly combines messy, cute and chic. Loose wisps and sleek crown contrast beautifully with twirled and rolled ends. We can’t say the same about LeAnn’s fashion choice for the ACMs. She appeared on some worst-dressed lists from Sunday even though she was wearing Stella McCartney! It doesn’t matter what we think–you be the judge. 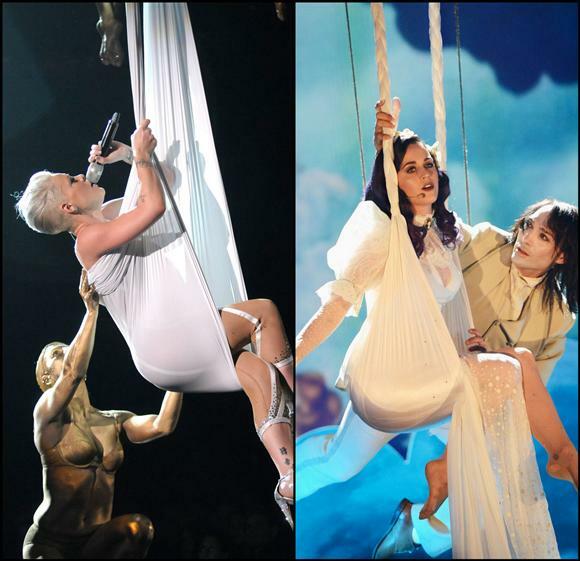 An example of LeAnn’s not-so-pretty past is the 2010 CMT awards. We couldn’t believe her “wasted” appearance in both her hair and stick-thin figure (that has sparked never-ending rumors of anorexia). 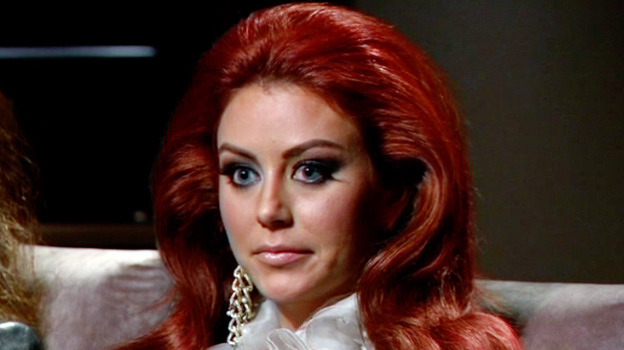 A closeup shot of Ms. Rimes Cibrian reveals a stringy mess of split ends and frizzy layers–no rhyme or reason to her ‘do. B ack in 2009 bellasugar.com complimented LeAnn for her Grammys’ hairstyle. We don’t think it’s that great, but if you disagree and want to get the look, go here. Even if you disagree with everything we’ve said here, you have to admit there’s no comparison with her long-gone glamour styles like the pretty Shag below.